As some of you may know, back in Nov 2014. John Mueller alluded to the fact that if your site contains content in tabs or it needs to clicked to be expanded that that content may not get indexed becauase Google is not crawling it. This was revealed to Barry Schwartz in a Google+ Hangout. In short, Mueller said content within “click to expand” menus or “tabs” may be “discounted” since Google knows you are hiding it from users. 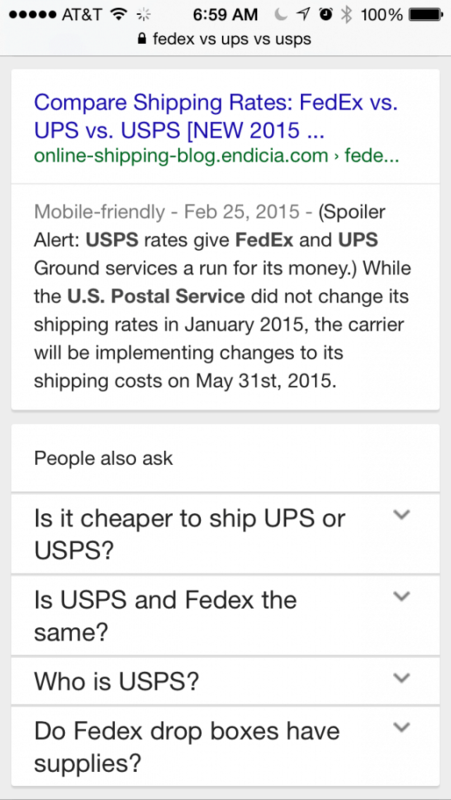 Recently Google has begun to test “People Also Ask” in their SERPs. The results are very attractive and are quite helpful. However, it is “Click To Expand” content. But this is ok for Google to do right? As you can see, this is similar to the “Searches Related To” you see at the bottom of the search results. 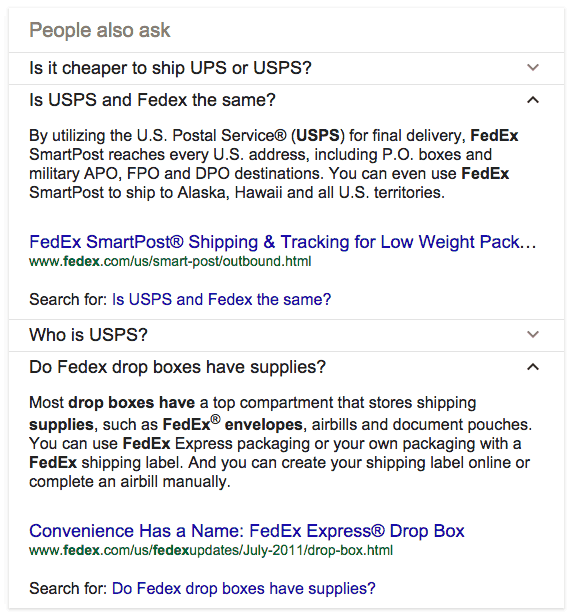 What’s interesting in that the “Searches Related To” are simply similar search queries whereas the “People Also Ask” seems to be related to semantic search. 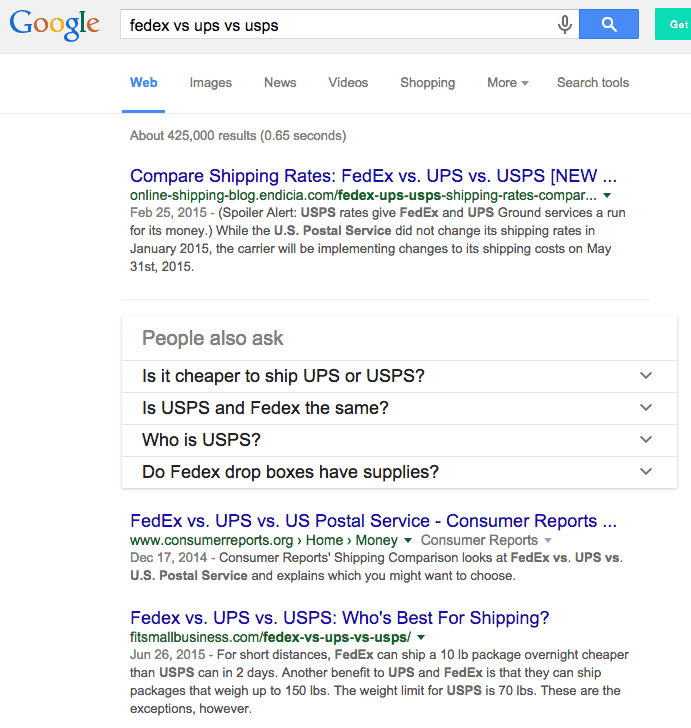 You can see that the “People Also Ask” options are complete questions like “Is it cheaper to ship UPS or USPS?” or “Who is USPS?” Google is trying to show very specific answers to very specific questions. In the past many people have been concerned and complained that Google is scarping content from other sites and that this is “stealing” organic traffic. I guess there is a positive spin that can be put on this situation. 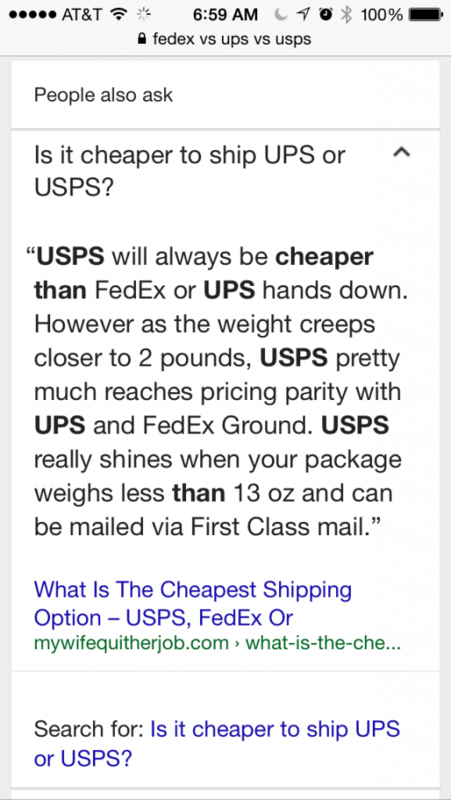 What if you were able to rank for multiple “People Also Ask” drop-down suggestions? 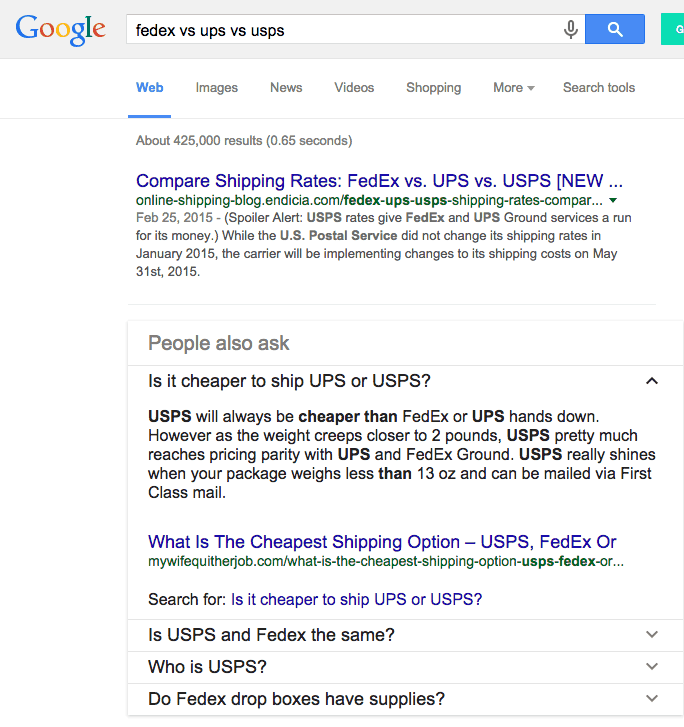 For example, FedEx has two results in the “People Also Ask” box. Here are some mobile screen shots as well.